Bruce Lee was an actor, philosopher, film director, producer, screenwriter and martial artist. He was born in November 1940 and died July 1973 from a mysterious brain haemorrhage. 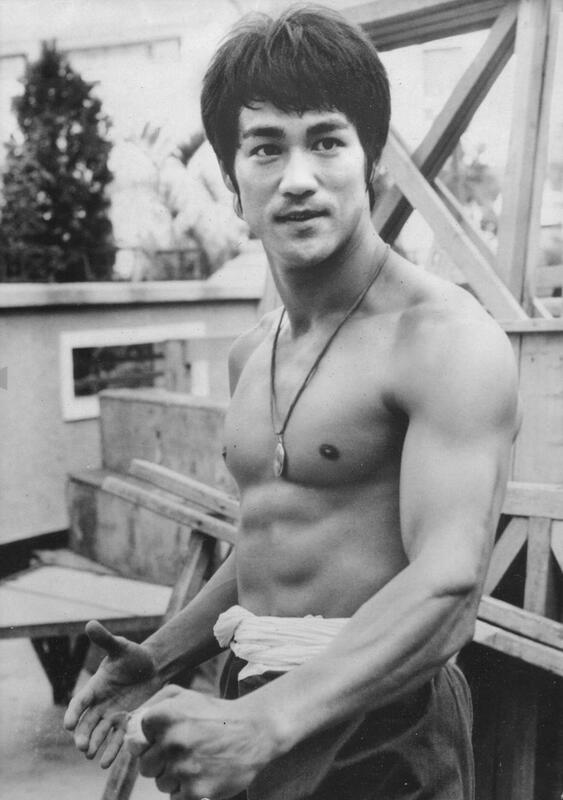 Many consider Bruce Lee to be one of the most influential martial artists of the 20th century. His films took martial arts to a whole new level. He was a pioneer when it came to making Chinese martial arts more popular in the west. He still to this day is considered a legend, and his philosophy lives on through his martial art Jeet Kune Do and through his writing. Goals serve as something to aim for, so don’t get too hung up on reaching them. Focus on enjoying the journey and the process. If you’re hiking on a beautiful trail, your goal is to get to your end destination, but that doesn’t mean you can’t enjoy the walk, or even change direction. Be open, be flexible. The happiest people in the world are flexible. They do not have rigid beliefs or try to control and manipulate their surroundings to make them happy. They are okay with how things are. They accept, they live in the now and they breathe. If you want to have a fulfilling and happy life, be flexible and accept things as they are. There’s no time for procrastinating, making excuses and succumbing to your fears. I know it can be hard, but you will ultimately die, so why not make the best of your life? Don’t waste time, instead start boldly moving towards your dreams. You will fail and make mistakes along the way, so stay humble and stay in the now. The most satisfying way to live is to help and enrich the life of others. It wasn’t until I started my blog that I realized how satisfying it is to assist others. If you can find a way to solve other people’s problems while following your passion, you will have found the ideal way to live. If we want the earth to become better, we have to let go of judgement, prejudice and rigid beliefs. There is no need to be right or wrong, or say that you are better than someone else. Everything is as it is. If you do not like it, you can do something else, but do not inject negative energy, because it never does any good. If you want to get results and master something, you have to stop dabbling and jumping around from thing to thing. Commit to something and follow through. Most people quit before any results can appear. They give up too soon. Don’t be one of those people! You impose your own limitations. Even if a guru tells you that something is impossible doesn’t mean it is. He or she is human just like you. Remember, most great people were told they could never accomplish something, but they went ahead and did it anyway. Listen to yourself and do what excites you. Simplify your life and eliminate the unnecessary. We as a society have been taught to consume and amass material possessions. Luckily, we are starting to realize that this doesn’t work. Happiness comes from the inside, not from the outside. Simplicity gives you clarity and peace of mind. In the beginning, learn from someone you look up to, but as you get better and more successful, take what works and discard what doesn’t. We are all unique, so we have to find our own groove and start listening to ourselves. Listen to your heart for guidance. Where is it trying to pull you? You can read all the information you want, but if you never take action, nothing will happen. You will almost never have crystal clear clarity, so you will have to work through confusion and uncertainty. I know you want a rock-solid guarantee that will tell you that you will be successful, but in reality, no such thing exists. You have to start moving in order to get to where you want to be. Everything you do involves your ego. It’s the one that is afraid. It wants you to stay where things are comfortable, convenient and safe. If you listen to your heart, you know that this isn’t the path for you. Go after your dreams and do so boldly. Accept the fear inside you and keep moving. and paragraph is genuinely fruitful designed for me, keep up posting these posts.